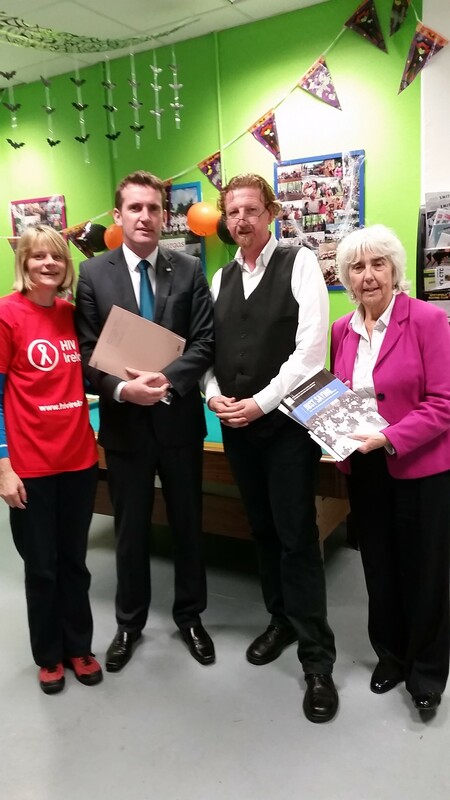 On 21st October, Minister Aodhán ó Ríordáin launched a report on the views of young people about drugs and alcohol. ‘Just Saying…’ is a report compiled from a number of youth conventions held in 2013 and 2014 in Dublin’s north inner city, organised by the Prevention and Education sub-committee of the North Inner City Drug and Alcohol Task Force (NICDATF). The committee is chaired by Maureen O’Sullivan, T.D. and members include representatives from HIV Ireland, Bradóg Regional Youth Service, Hands on Peer Education and BeLonG To Youth Services. The report presents the views of 400 young students from nine local schools who took part in four Youth Conventions. The aim of the conventions was to listen to young people’s views on drugs and alcohol, their opinions on the various drugs education and prevention experienced to date through their schools or clubs. Round-table discussions at the conventions were facilitated by youth workers involved in the committee and from other various clubs and projects in the north inner city. When officially launching the report, the Minister made particular reference to the recommendation that the voices of young people should be central to the development of drug education and prevention initiatives, and should be involved in the development of the next National Drugs Strategy (currently being developed). The Minister gave his support for this recommendation and suggested the organisation of a conference or seminar to facilitate this. When discussing future prevention approaches, young people cited the importance of presenting them with the facts about drugs and alcohol so that they could make informed choices. Young people further highlighted the need for information on sexual health and sexually transmitted infections (STIs). HIV Ireland will continue its active involvement in the Prevention and Education sub-committee to ensure these issues raised by young people are included in future initiatives.